Sponsored post in collaboration with Holy Lama Spice Drops. Given the heat of India’s climate and the piquancy of the dishes it’s no surprise that many Indian beverages are refreshing and thirst quenching. Chai (tea) remains the most popular drink, in fact, chai could be considered the lifeblood of India. Served in small glasses from dawn until way past dusk, this beverage is everywhere you look. It’s in little make-shift cafes, sold from chai-wallahs at every bus station, train station and street corner, and of course it is brewing in every home. True Indian chai is a far cry from the watered-down, bland, chain store coffeeshop versions to be found here. 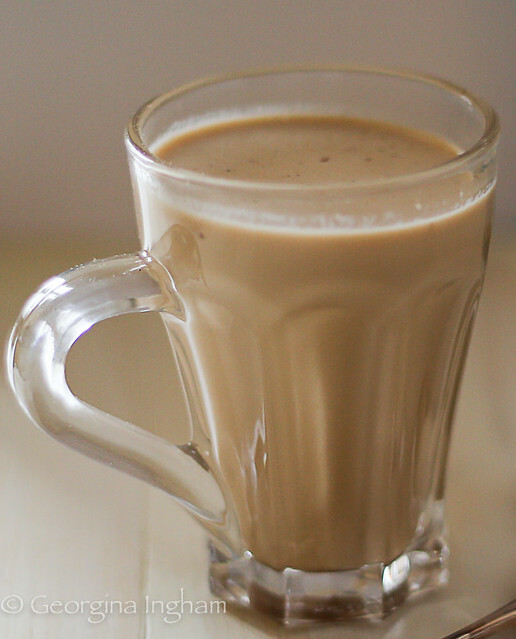 Authentic chai is made with lots of creamy milk, considerably too much sugar, black tea, and selection of sweet spices. This selection of spices varies from blend to blend, with regional and family recipe variations aplenty. The first taste of ‘real chai’ I had was as a teenager. 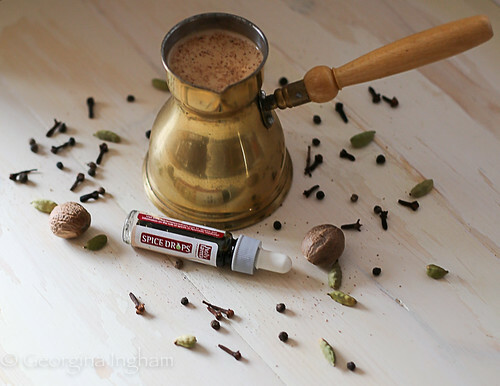 I would go and meet my Indian friend Nosheen at her home before walking to school together and every morning, without fail, her mother would have a steaming mug of chai, heady with cardamom and cinnamon waiting for me. Oh, how lucky was I? Well, Nosheen and I lost contact with each other after I moved away to another part of the country and unfortunately neither of us were very good with the letter writing, so we drifted apart. Anyhow, to cut a long story short, I didn’t taste chai again like that until I visited a local Indian Restaurant and my passion for chai was reignited. 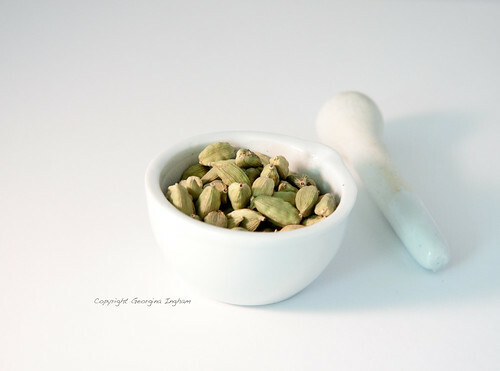 I have tried many versions, both homemade and ‘instant’ varieties, but none could match the balance of flavours and sweetness that I was searching for. So, imagine my delight when I opened a bottle of Holy Lama Tea Masala Spice Drops and was hit with the most familiar yet forgotten smells - the chai of my childhood! Waves of nostalgia came over me and I had to have steaming hot chai straight away. I must confess I was doubtful that it would live up to my memories; even if I had the exact recipe could my version actually be that good? Wasn’t it all just a happy memory anyway? In reality my expectations were surpassed; not only did I have the smell of my childhood, but the taste too. Spices and herbs play a huge role in India, both culinary terms and in Ayurvedic medicine. 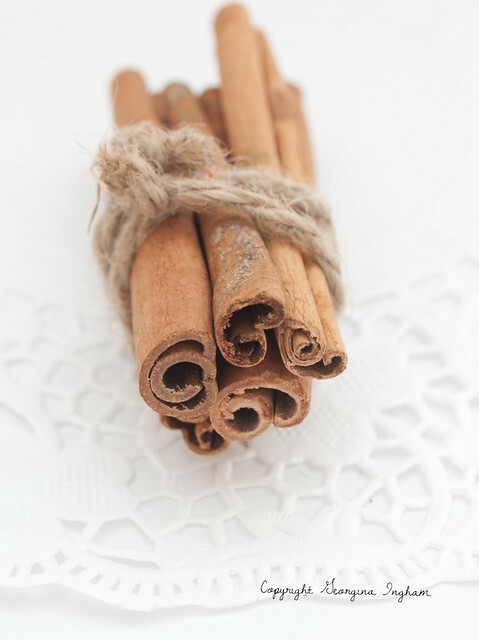 According to Ayurvedic principles a person is said to be healthy when there is a perfect balance between all three doshas (vata -air, pitta - fire and kapha - water) and the spices in Holy Lama's tea masala are believed to help support the digestive system. Holy Lama Naturals is a Kerala government recognised women’s enterprise, which means that >80% of the workers in the factory are women. Most of the women employed are from disadvantaged background – widowed, deserted by their partner, and so on. In a traditional male dominated society, employment in the factory gives the worker much needed self-confidence and independence. Holy Lama Naturals acts as a family to these women. Women of all ages, castes and religions are welcome to work there. Holy Lama Naturals is guided by the concept of Kudumbashree - the enhancement of a less privileged family by empowering the women. 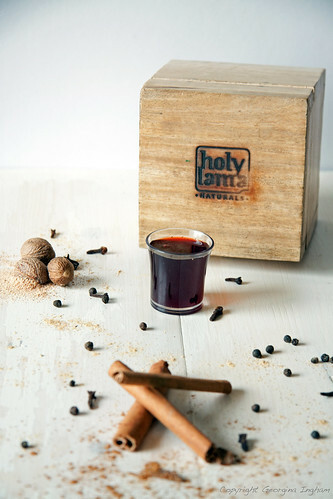 Holy Lama Spice Drops are concentrated extracts of natural spices that allow food and drink to be infused with vibrant flavours, without affecting the texture of the food. Unlike many essences and extracts these drops are not alcohol based but are instead very concentrated pure extracts of the natural spice. Holy Lama use spices that have been grown in Kerala and other regions of India, and operate using Fair Trade principles. 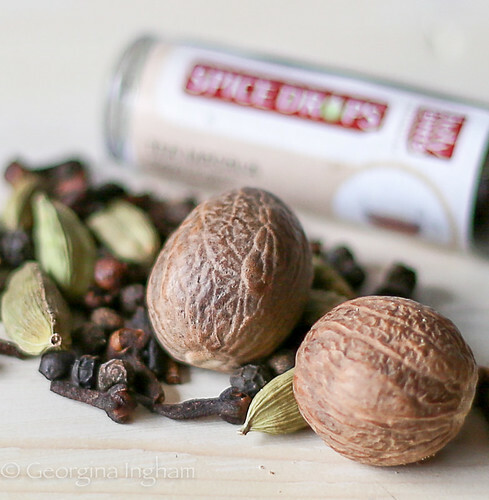 So what are the culinary benefits of Spice Drops? 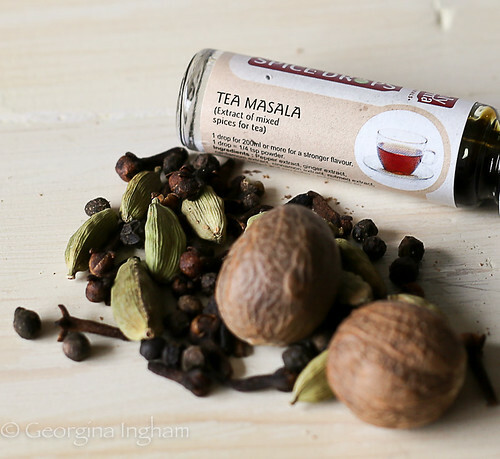 You can, of course, buy the Tea Masala as a stand alone product, but why would you want to when it comes as part of a Tea Lover’s Spice Drops Kit containing cardamom extract, ginger extract, cinnamon extract, peppermint extract, tea masala and lemongrass extract. 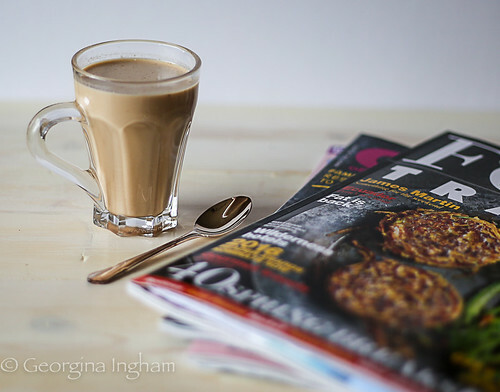 Not only would the kit allow you to blend your chai flavours until your hearts, or rather your tastebuds, content but it gives you plenty of scope for perking up your baking too! 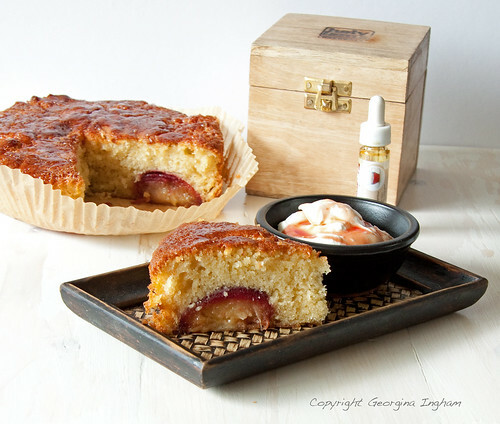 You could always try my Fruity Tea Masala Cake as a starting point. 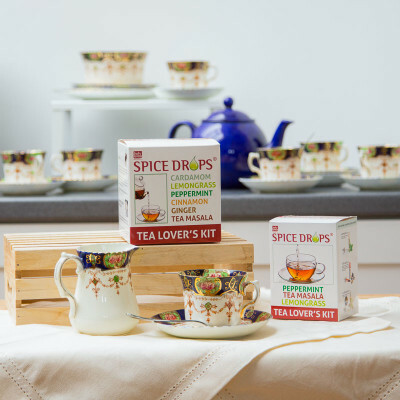 Wouldn’t you like to have the chance to try your own Holy Lama Tea Lover’s Spice Drops Set? Of course you would! So what are you waiting for? Enter the competition for the chance to win and add mystery and spice to your day with Holy Lama Naturals Spice Drops! 1. Bring the water to the boil in a medium sized pan. 2. Add the tea leaves or teabags and boil for a minute, then reduce the heat and simmer for around 5 minutes. 3. Pour in the milk and return to the boil, then reduce the heat and allow to simmer for 2 minutes. 4. Remove from the heat and stir in the sugar. 5. Strain through a fine sieve into cups or mugs before adding 1 or 2 drops of Tea Masala. 6. Serve hot with a little nutmeg grated over if wished.